There are oodles of ways to add some organization to your kitchen. 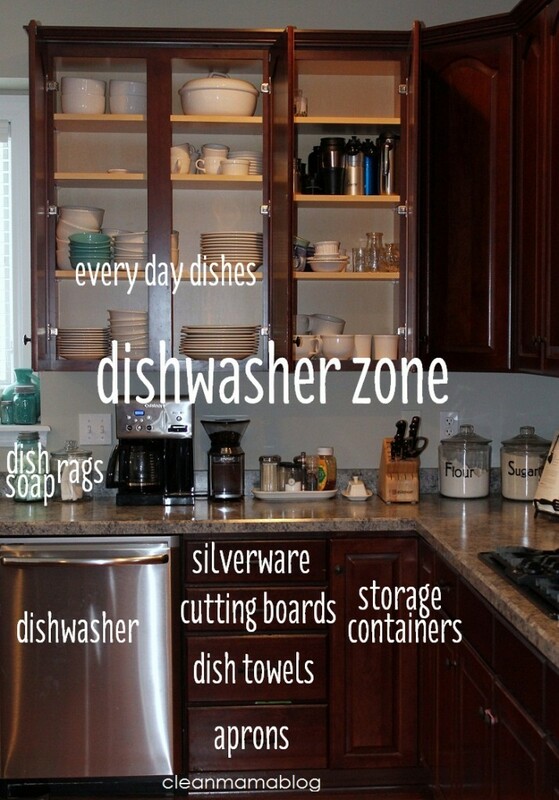 For me, the most effective way to save time and energy in the kitchen is having zones. Taking a little time to organize like items together is such an effective way to simplify your prep and clean up time. My favorite kitchen zones? The dishwasher zone – easy access and put-away-ability is the key to this zone. Dish soap, silverware, storage containers, dish towels, and dishes. I can stand in one place to empty and load the dishwasher. Nice and easy. The baking zone – baking supplies, flour + sugars, stand mixer, spices, cookbook holder all at the ready make a great baking zone. 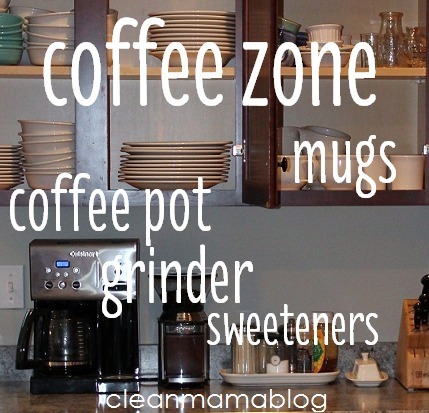 The coffee zone – having mugs near the coffee pot is a simple and quick fix to create a mini zone in your kitchen. 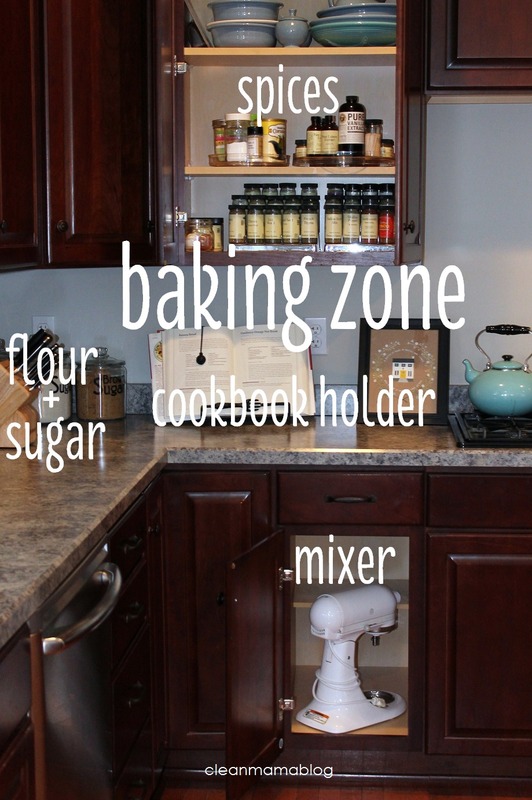 Do you have zones in your kitchen? What’s your most effective zone? Is there a zone that you could implement today?